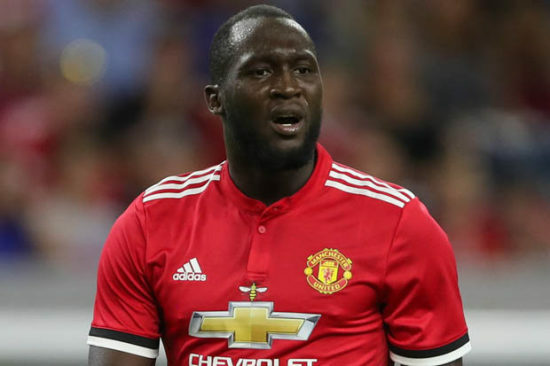 Belgian striker Romelu Lukaku who has been in fine form for both club and country is likely to sit out his national team’s World Cup qualifying match against Bosnia-Herzegovina on Saturday after manager Roberto Martinez said he is unfit and he is not willing to risk the in-form striker who is out with an ankle injury, but the Belgium boss hopes he will be fit enough to play against Cyprus next week. “He has not joined the group yet since he arrived. We need to be a little bit patient. “I would say he is very uncertain for Saturday. We will make a decision probably on Friday, but I would say that it is a little bit difficult for him to be involved on Saturday. Although, the 24-year-old is yet to return to training with the squad but he has been training alone and has calmed initial fears among supporters after test on his ankles proved positive. With the Belgium having secured their place in Russia next year, the striker is not expected to be a big loss to his side having secured top spot in Group H regardless of their final two games. Lukaku has had an excellent start to his Manchester United career scoring 11 goals and providing 1 assist in 10 games so far this season. The Belgian international has been pivotal for the Red Devils in their qualifying series enroute to the 2018 World Cup having scored 10 goals in seven matches and he currently sit third in the top scorers chart behind Portuguese superstar Cristiano Ronaldo (14) and Polish striker Robert Lewandowski (12).